Now, here is how you can go invisible on WhatsApp by just tweaking the settings. There are three steps to this. First, silence that WhatsApp tone without putting your phone on silent. Second, get rid of the WhatsApp icon or dot notifications (for new messages) on the notification bar. Third, disable notification light for WhatsApp. Lastly, remove WhatsApp shortcut on the home screen. There’s no option to select ‘No Ringtone’ for your WhatsApp messages or calls. By default you will have to select a ringtone. If you want to silence it then you have no other option apart from putting your mobile on silent mode. The easiest hack around this is to create your own silent ringtone. Just record pin-drop silence for 2 seconds by using your audio recorder app and save it by a proper file name (For example silent ringtone). Open WhatsApp>>Settings>>Notifications. Select that ‘silent ringtone’ as your Notification tone and call ringtone. Go to your phone settings (under the general Android settings) >> Apps>> Open list of Apps>>Select WhatsApp>>Tap on Notification and disable all notifications for WhatsApp. Disable vibration and popups as well. 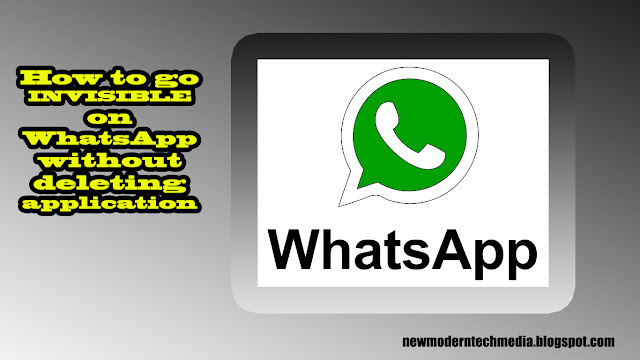 Now, you will not get to know whether you have got any new messages unless and until you purposely open WhatsApp. This is simple. Open WhatsApp>>Settings>>Notifications>>Light. Select ‘none’. After this simply remove the WhatsApp shortcut from your home screen. By following these steps, you will continue to get WhatsApp messages in the background but you will never get to know about them. Out of sight and out of mind. No more WhatsApp tone for notifications to disturb you. To know whether you have received any WhatsApp text you will have to open WhatsApp inside the app menu and then check. Go to your phone settings (under the general Android settings) >> Apps>> Open list of Apps>>Select WhatsApp. Then click on ‘Force stop’. Then disable ‘Background data’ (inside Data option) and finally, revoke all app permissions for WhatsApp. 5.This will ‘kill’ WhatsApp altogether without uninstalling it. However, you will still continue to get messages the moment you open WhatsApp. Yes, it is that stubborn! But now you know how to ignore them altogether. If you want the sender of the messages to not get a “Double Tick” signifying the delivery of the message then simply don’t open WhatsApp after you ‘Force Stop’ it from your phone settings.